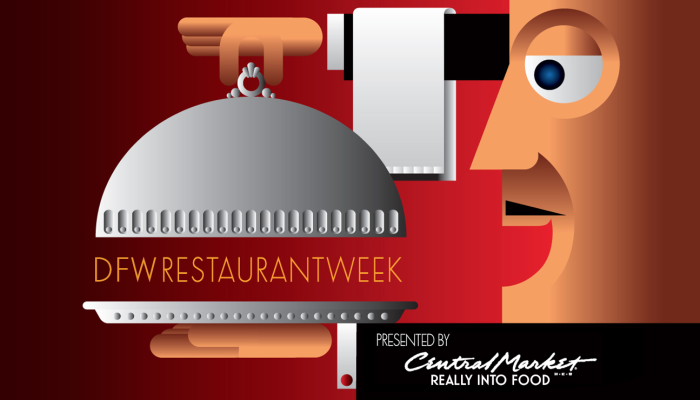 DFW Restaurant Week is here again! I love to dine out. There, I said it. Don’t get me wrong, home-cooked meals are always a treat, but there is nothing quite like an evening out with friends and family, savoring a brisk conversation, excellent table service and unique food. Best of all, it’s all for a good cause AND someone else gets to do all the dishes afterwards! Because of this, DFW Restaurant Week presented by Central Market is a Farrimond household tradition. And one that we take quite seriously. So when my fingers get that annual twitch in late July, I know it’s time to Google “DFW Restaurant Week” to map out my foodie strategy at new restaurants that we want to try OR tried and true favorites that we love to support. Entree, BBQ Pork Tenderloin served with Red Bliss Potatoes, white mushroom caps, broccoli florets signature dipping sauces.